Because his mother asked for his help. Ultimately, it was God’s plan, for Mary always asks, “Do whatever He tells you” (John 2:5). We’d be fools not to follow this example in Scripture. Pope Francis is no fool. He knows our world has messed up and he is running to our Blessed Mother for help. Pope Francis made an urgent plea to all Catholics for pray and fast for the violence in Syria, and the Middle East region. He chose September 7, the Vigil of the Blessed Mother’s birthday, and appealed to everyone to invoke the intercession of Mary, Queen of Peace. Next month, Pope Francis will consecrate the world to the Immaculate Heart of Mary on October 13, the anniversary of the final appearance of the Blessed Mother at Fatima in 1917. The original statue of Our Lady of Fatima will be brought from the shrine in Portugal to the Vatican for the consecration ceremony. 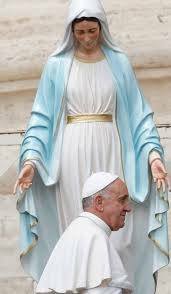 The pope will also speak on Marian devotion, preside at Eucharistic adoration, and lead the Rosary. It is significant that the Pope has chosen the anniversary of Fatima given the threat of terrorism and violence among Muslims. The name Fatima has a divine ring to both Catholics and Muslims through the Blessed Mother. Fatima, Portugal draws millions of Muslim and Catholic pilgrims every year. Our Lady of Fatima’s message is to pray for peace. The town of Fatima is in central Portugal. The Apostle James evangelized Portugal in the early centuries. Historical records show that at least since 656 A.D., the nation has had a devotion to Mary under the title of the Immaculate Conception. It was invaded by the Moors (Muslims) in 711. Under King Alfonso Henriques (1128-1185) Portugal gained her independence. It is told that the village of Fatima was given the Islamic name of the well-loved Muslim Princess from the nearby Castle of Ourem who stayed behind and converted to Catholicism. She was named Fatima, like many other Muslim girls in honor of Mohammad’s daughter. She was baptized in 1158 but died at an early age after marrying the Count of Ourem. This brings us to our second point: namely, why the Blessed Mother, in the 20th century, should have revealed herself in the significant little village of Fatima, so that to all future generations she would be known as Our Lady of Fatima. Since nothing ever happens out of Heaven except with a finesse of all details, I believe that the Blessed Virgin chose to be known as Our Lady of Fatima as a pledge and a sign of hope to the Moslem people, and as an assurance that they, who show her so much respect, will one day accept her divine Son too. “Evidence to support these views is found in the historical fact that the Moslems occupied Portugal for centuries. At the time when they were finally driven out, the last Moslem chief had a beautiful daughter by the name of Fatima. A Catholic boy fell in love with her, and for him she not only stayed behind when the Moslems left, but even embraced the Faith. The young husband was so much in love with her that he changed the name of the town where he lived to Fatima. Thus, the very place where our Lady appeared in 1917 bears a historical connection to Fatima, the daughter of Mohammed. 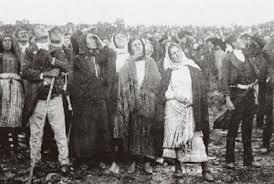 It was the event on May 13, 1917, that eventually brought Fatima to the attention of the world. At that time, World War I was taking place. 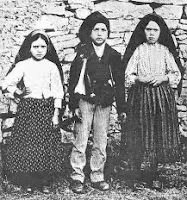 On this day, three young children were tending a flock of sheep in a field called the Cova da Iria, in the outskirts of Fatima. 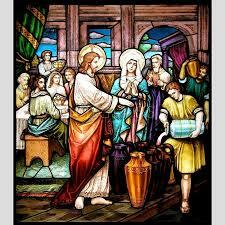 The children were Lucia of Jesus, 10, Francisco Marto, 9, and his sister Jacinta, 7. Around midday, they prayed the Rosary, as was their habit after lunch. Suddenly, a flash of light in the sky made them think lightening was warning of an impending storm. Instead of a storm there was another flash and then a beautiful Lady, brighter than the sun and holding a rosary, stood over the top of a small Holm Oak tree. She explained to the children: “I am the Lady of the Rosary” and told them to pray, do penance and to make sacrifices to save sinners. She invited the children to return to the Cove of Iria during the next five consecutive months on the 13th at the very same hour. As word of the children’s visions spread, thousands began to flock to Fatima. 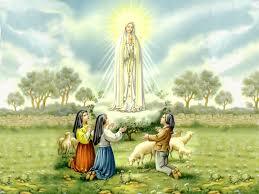 In the last apparition on October 13, Our Lady had promised a miracle so that all would believe. A crowd estimated at 70,000—including many newspaper reporters and skeptics--came from all over in the pouring rain to the Cova da Iria. What took place became known as "Miracle of the Sun". The steady rain suddenly ceased. The sun swirled in the sky and great shafts of color flooded the entire plateau of Fatima. At this same time, the children of Fatima saw the following vision as described by Sr. Lucia: “When our Lady disappeared in the immense distance of the sky, next to the sun, we saw St. Joseph holding the child Jesus and Our Lady dressed in white with a blue mantle. St. Joseph and the child seemed to be blessing the world, making the sign of the cross. (Letter from Sr. Lucia to her Bishop, December 8, 1941, Tuy, Spain). The amazing spectacle of “The Miracle of the Sun” was witnessed for miles away. Many feared the sun was going to fall from the sky and that the end of the world had arrived. After several minutes, the sun returned to its place in the sky. At that point, people were astonished to realize that their soaked clothing and everything around them had completely dried in spite of being soaked just moments earlier. Many secular newspapers testified to these events with eyewitness reports and photographs of the great crowd. Columnist Avelino de Almeida of O Século (Portugal's most influential newspaper, which was pro-government and anti-religious) reported the following: "Before the astonished eyes of the crowd, whose aspect was Biblical as they stood bare-headed, eagerly searching the sky, the sun trembled, made sudden incredible movements outside all cosmic laws - the sun 'danced' according to the typical expression of the people." The Blessed Mother indicated that World War I, which was ongoing at the time, would soon end. It did the following year. However, she predicted that a worse war would break out if people did not cease offending God. It has been interpreted that Pope John Paul II’s 1984 consecration of Russia fulfilled the prophecy, and paved the way for the collapse of the Soviet Union, which happened early the very next year. As predicted by Mary to the children, Francisco died just eighteen months after the apparitions ended and Jacinta died shortly thereafter. Lucia left her village on June 16, 1921 to join a convent. Sr. Lucia of the Immaculate Heart remained on this earth until Sunday, February 13, 2005, when she died at the age of 97. Jacinta and Francisco Jacinta were beatified as “blessed” in 2000 at Fatima in the presence of Lucia before a crowd of over a million. Pope John Paul II surprised the world at that time, by announcing the third secret of Fatima, which had never been revealed. It is believed to have been a prophecy on the assassination attempt on his own life on May 13, 1981—the same day and at the same hour of the first apparition at Fatima. Before a crowd of 20,000 in St. Peter’s Square at the Vatican, a Turkish citizen, Mehmet Ali Agca, fired four bullets at the pope from about 15 feet away. The one that hit him narrowly missed his vital organs. 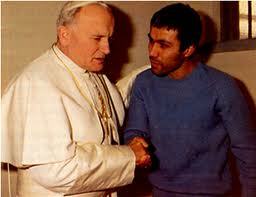 On December 27, 1983 JP II went to the prison and forgave his would-be assassin. The pope held the hand of the gunman who shot to kill him and said, “Brother I forgive you.” They talked quietly for 21 minutes. It was reported that the gunman who, revealed he was a hired professional, (there’s speculation but it’s not official who he was working for) could not understand how he failed in his attempt. Many people know that the Pope credited the Blessed Mother with guiding the bullet’s path allowing him to escape death on the very feast of Fatima. What most don’t realize, however, is that the Pope was planning to announce the establishment of his Institute for Studies on Marriage and Family on that fateful afternoon. This was to be his main arm for disseminating his teaching on man, woman, marriage, and sexual love around the globe. 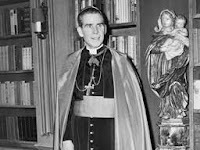 The following year, on October 7, 1982, (the Feast of Our Lady of the Rosary) John Paul did establish the Pontifical Institute for Studies on Marriage and Family. He entrusted it to the care and protection of Our Lady of Fatima. When Our Lady appeared to the three shepherd children she made it clear that sin offends God and sin affects what happens worldwide. Our Lady taught us that in order to bring peace and save souls we must pray. 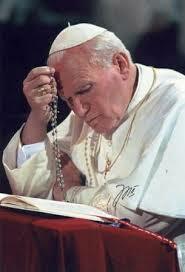 The rosary does not only bring peace to nations but also to families and relationships. David Calvillo, founder of Real Men Pray the Rosary is an attorney whose marriage was repaired when he and his wife became devoted to the rosary. His website offers support and encouragement to anyone wanting to learn how to pray the rosary or to learn more about consecrating their lives to Jesus through Mary. “Mary joins us, she fights at our side. She supports Christians in the fight against the forces of evil. Especially through prayer, through the rosary.” --Pope Francis, August 16, 2013 during Mass for the Assumption of the Blessed Virgin Mary.